The achievement level of the Power of 3 Paradigm has three parts characterized by the acronym “AID”. They are Assist, Inspire, and Depend. Inspiration comes in two kinds, aspirational and confirmational. Aspirational inspiration emphasizes the purpose of the activity and each team member’s role in the activity. Confirmational inspiration recognizes the importance of team performance AFTER the purpose is achieved. In rare cases, the leader gets to practice both simultaneously. Those who play a varsity sport at the high school or collegiate level understand the importance of Senior Day. It is often the last game of the season before playoffs begin. Sometime, the last game is important to the post-season goals for the team. Usually, all the seniors and their families are recognized before the game. Often, the seniors are the starters for the game, even if they have not been starters in previous games. The honor of starting the final game is recognition for the stars and supporting players as well. The emotional boost the home team gets from Senior Day is special. The leader gets the opportunity to honor all the seniors. This also helps to inspire those in lower classes too. They know their “time in the sun” will occur if they stay the course and contribute to the team. This is a rare case where the leader gets to conduct aspirational and confirmatory inspiration at the same time. The emotional boost of Senior Day encourages the team to finish on a strong note heading into the playoffs (aspirational). The recognition of contributions of departing players develops confirmational inspiration. What happens when a vital senior team member is injured and unable to play on Senior Day? In one shining example of leadership, a coach overcame this obstacle. 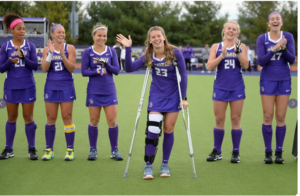 The James Madison University field hockey team faced this dilemma. A senior player suffered a season ending knee injury and could only walk with the aid of crutches. Yet, she was in the starting lineup on Senior Day. As her name was called, she stepped forward from the team line on her crutches and waved to the crowd. Her jubilant teammates smiled and applauded. They enjoyed participating in this tribute to their teammate even though she could not participate fully in the game. And yes, she was in uniform on the field with her field hockey stick when the starting whistle sounded. She stood near the sideline where players make substitutions during play. She hopped on one leg to exit the field where the trainer gave her crutches back to her and her replacement ran onto the field. It should be noted that this was not a “throw away” game. The result of this game determined the seeding for the post-season tournament. However, JMU field hockey demonstrated superior leadership. They gave her “time in the sun.” They did this without regard to whether the small amount of time she was on the field would impact the game. Many teams schedule “cupcakes” for Senior Day to provide an uplifting end of season victory. Such was not the case in this game, which makes the choice by the JMU field hockey leaders even more special. 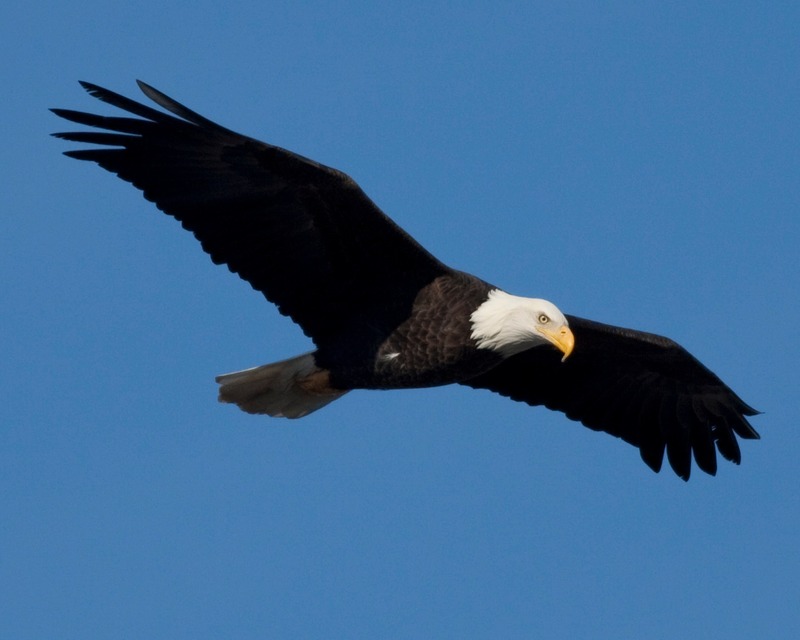 Opportunities abound for providing aspirational and confirmational inspiration to your “team”. Seizing them like the JMU staff did will have lasting positive impacts on everyone who witnessed the 2018 Senior Day even though they lost the game. Years from now, few will remember the final score of the game. But everyone there will remember Ashley Gippe announced as a starter and the reaction of her teammates as she came forward on her crutches to acknowledge the fans. The image of her on the field as the game started and hopping off as her replacement ran on will be remembered forever. Failure to take those opportunities can have serious side effects. When the team respects the seniors, they expect them to get their due recognition. Failure to provide that confirmational inspiration drives despair into the team and can have long-lasting negative impacts. People will remember unnecessary despair for a long time to come. Be inspirational and lead YOUR team like a JMU Duke. ← Maryland Football Death – Where Did Leadership Fail? Christy Morgan left a legacy with this Ashley Gippe by allowing her to start and finish what she started as a student-athlete at JMU. Ashley will never forget this moment in her life. That’s what’s Intercollegiate Athletics is all about, leaving lasting moments and building future leaders. Thank you for being the model Coach Morgan! I am glad you enjoyed the post and appreciate your comments. We need to recognize examples of good leadership and make them known to others. Feel free to share this with leaders you encounter in your role as Associate Athletic Director at JMU or whomever else might benefit from it. I am pleased to be able to share this wonderful example of leadership. I am at your service for any leadership assistance you may need. Thank you for your kind words. I hope these stories provide a benefit to you. Feel free to pass them along to others as well.